When my twins started kindergarten, they were so proud of their new big kid backpacks. Finally, after several years of watching their older brother trek off to school with his, they got to pick out their own. It was a BIG deal! 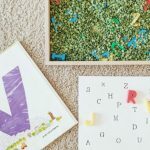 So, with that excitement in mind, I created this backpack themed letter sound activity. 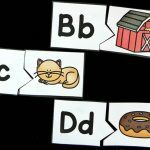 This Back to School Beginning Sound Sort Activity gives students practice identifying initial letter sounds. 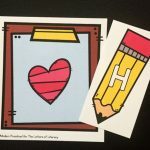 *Pair this with our Back to School Clothespin Clip Cards! 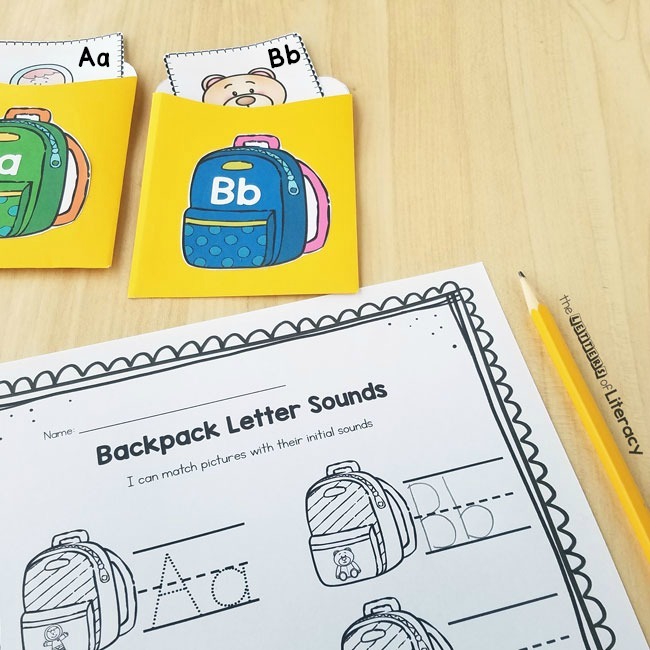 Students “load” each backpack with its matching initial sound picture card. Then, as they “unload” the backpacks, they can find each item on the recording sheet and write the letter next to it. 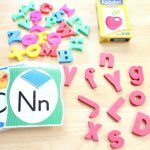 The free printable includes a backpack labeled with each letter of the alphabet. 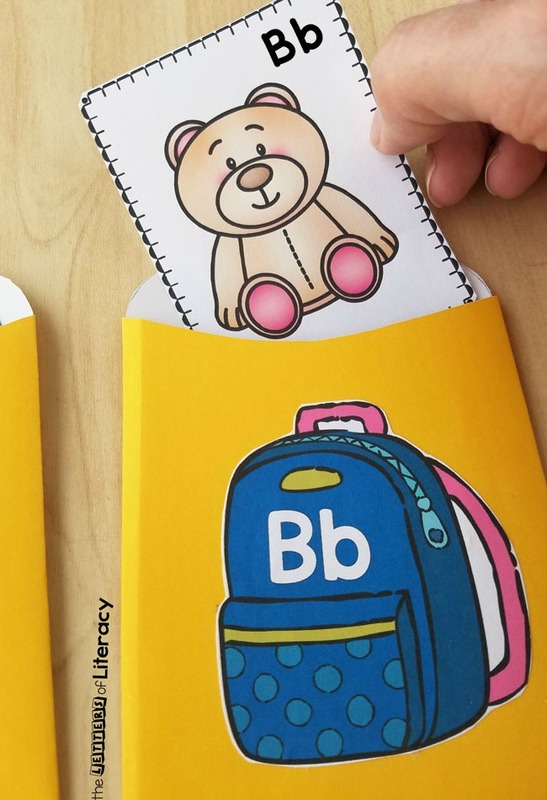 You can cut these out and glue them onto library pockets as shown here, or line them up in a pocket chart. You’ll also want to make copies of the included recording sheets. 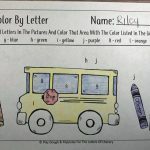 I know not all kindergartners arrive ready to work on initial sounds, but for those who are, I think this would make a cute back to school literacy center. 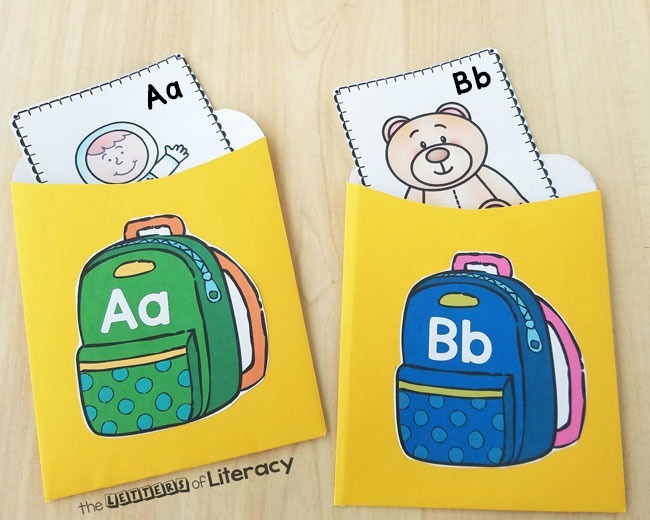 First, your students sort through the picture cards and match an initial sound with its correct backpack. 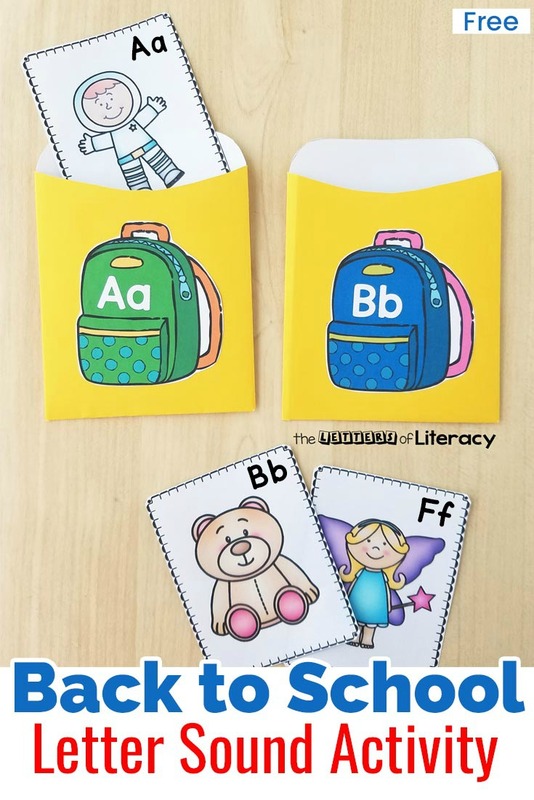 Then, they slide each card into its library pocket or behind the right card in a pocket chart. 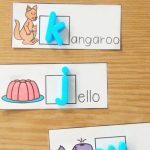 Alternatively, for kids who are working on letter recognition, you could provide lightweight plastic letters or plain letter cards for them to match up instead. You may like to put out just a handful of cards at a time to keep this activity from being overwhelming. 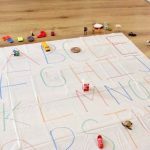 Then, as students show more confidence, you can put out the entire alphabet at once. My girls don’t really get excited about their backpacks anymore, but they thought this library pocket activity was pretty cool. I hope your students do too. 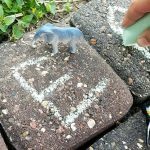 If you’re ready to grab this Back to School Beginning Sound Sort Activity, then click the large, blue button below! 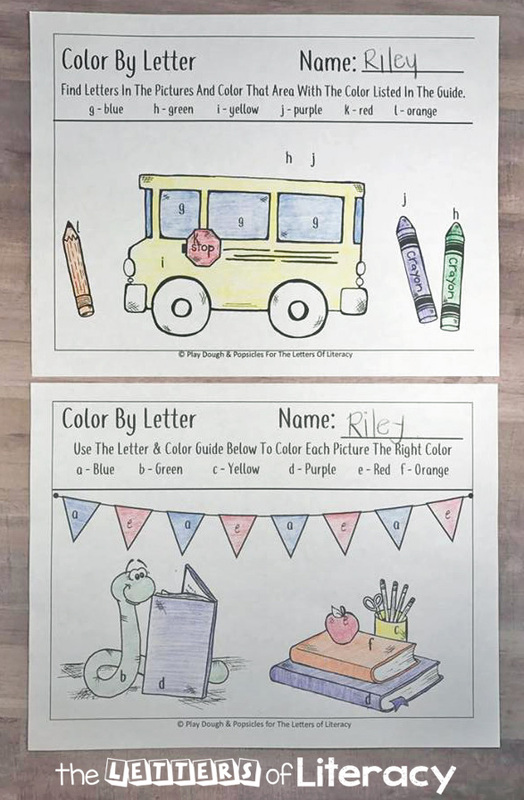 Then, hop on over to see our FREE Back to School Color by Letter Printables!